Melvin Kampen Stephens was born on February 21, 1928, to Franklin Emerson Stephens and Cornelia Maria Francisca Van Kampen in Anguin, California. He died on April 13, 2019, due to causes incident to age. He was 91years of age. Melvin loved his childhood and was a typical, active, and sometimes mischievous little boy. He was the youngest in his family with two older brothers and a sister. His entire life he showed respect to his family and loved and honored his parents. He loved animals including his horses, cattle, and his dogs, of which he had many. He loved the adventure of riding his motorcycle with his buddies. He attended Oakdale High School and excelled in track and field. He entered the Army and served as a military policeman being honorably discharged to return home to help his mother on the dairy farm as his father was ill. In 1948 to 1950 he served as a missionary for The Church of Jesus Christ of Latter-day Saints in the Hawaiian Islands. While serving his mission, he met the love of his life, Audrey Leavitt, who was serving in the same mission. Melvin patiently awaited Audrey's return, and the day she came home, he met her at her parents' home, picked her up, and drove straight to his parents' home some eight hours away so she could meet his parents at which time he asked her if she would be interested in being his little "dairy maid." And she said, "I think I would like that." They were married for time and all eternity in the Salt Lake Temple on January 5, 1951. Together they brought into the world six children, whom he loved more than life itself. Each child was special to him in their own way, and he never placed one above the other. He was no stranger to hard work. To his family there was nothing he couldn't figure out, repair, or do. He had a very unique mind that could see what needed to be done and how to fix it. Very seldom did he have to call a repairman because he could do it all. Mel was a man of deep devotion and love for his Savior. He faithfully served in many callings in the church, including as an ordinance worker in the Oakland California and Bountiful Utah temples. 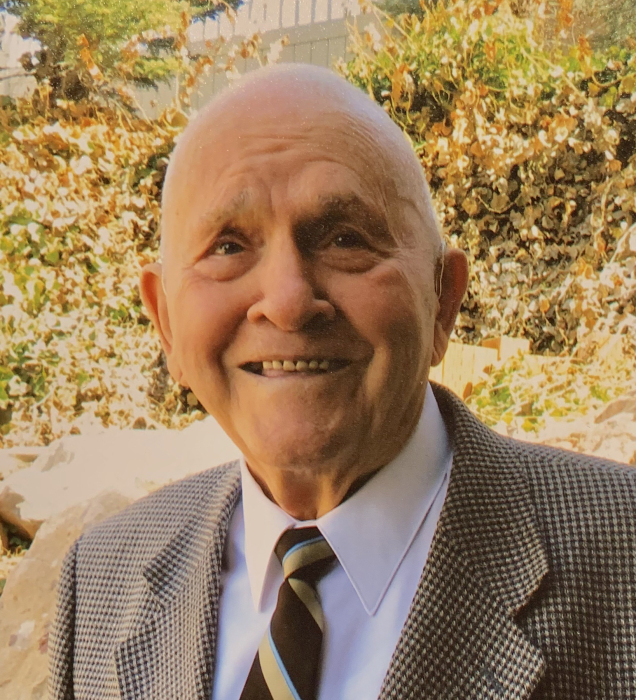 In the last years of his life, he was the greeter at the door of his ward, and everyone looked forward to shaking his hand and seeing his beautiful smile and personality. Mel was always a missionary and knew the true meaning of ministering. He and his wife served two more missions together in Cleveland, Ohio, and Anaheim, California. He loved his neighbors and all those he came in contact with. He wanted everyone to know what he knew, and that was that the Gospel of Jesus Christ is true and was central to every decision he made in life. He is preceded in death by his wife, Audrey Leavitt Stephens, his eldest son, Melvin Leavitt Stephens, and son-in-law, Keith Moore. He is survived by his children, Kim Stephens, Hughson, California; Gail (Craig) Larson, Salt Lake City; Terri (Dave) Critchlow, Draper; Craig (Karen) Stephens, Kaysville; Rod (Tami) Stephens, Kaysville; Annette (Steve) Johnson, Mountain Green; 29 grandchildren, 88 great-grandchildren, and many extended family members. Funeral services will be held Saturday, April 20, 2019 at 11 a.m. at the Kaysville 12th Ward, 1039 E. Crestwood Road. Friends may visit family Friday from 6 to 8 p.m. at Lindquist’s Layton Mortuary, 1867 No. Fairfield Road and Saturday from 9:30 to 10:30 a.m. at the church. Interment, Kaysville City Cemetery.